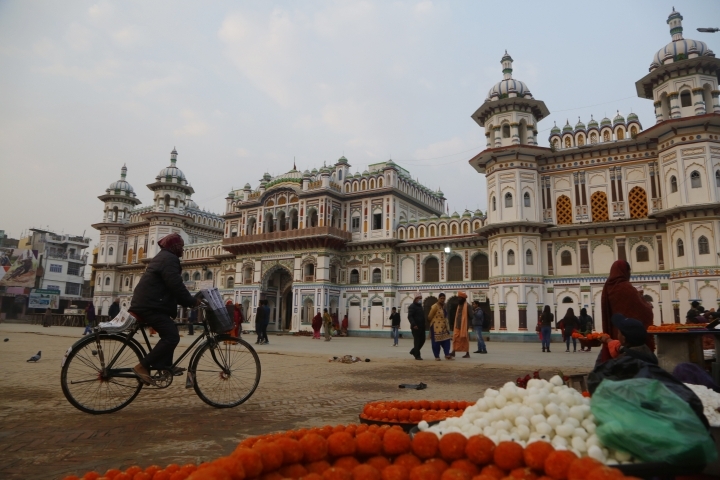 JANAKPUR, Nepal — The competition between two Asian giants, India and China, for influence over tiny Nepal is yielding a bonanza in the form of the Himalayan mountain nation's first modern railway — and possibly more to come. 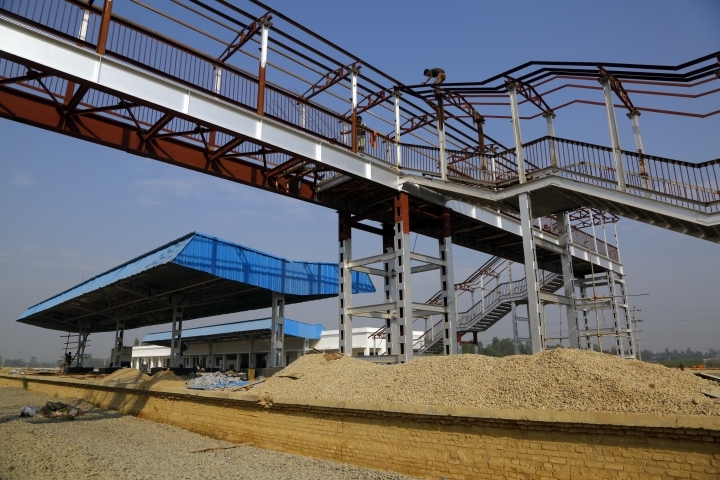 New shiny rails connecting the 34 kilometers (21 miles) between Janakpur in southeastern Nepal and Jay Nagar in the Indian state of Bihar are raising hopes for more business and pilgrimages. The railway is India's latest bid to keep its foothold in South Asia, a traditional sphere of influence, as China spends billions on its massive Belt and Road Initiative, an infrastructure project that aims to expand trade across a vast arc of 65 countries from the South Pacific to Africa and Europe. Biswombar Sah, a 62-year-old farmer, is among hundreds of people in Janakpur visiting the still-under-construction rail station daily to check on its progress as workers polish the marble floors, lay tiles on the platform and paint local art on the walls of the waiting room. 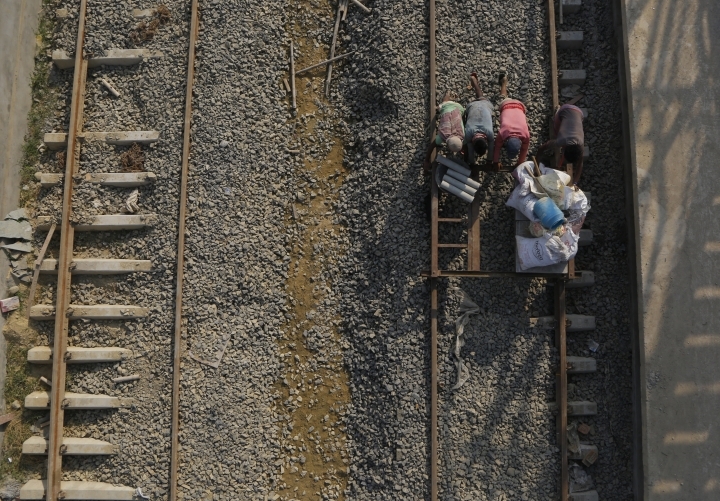 "These train tracks are the best thing to happen to us in a very long time. We are all thrilled about getting a modern train that will make travel so much easier and cheaper," Sah said. 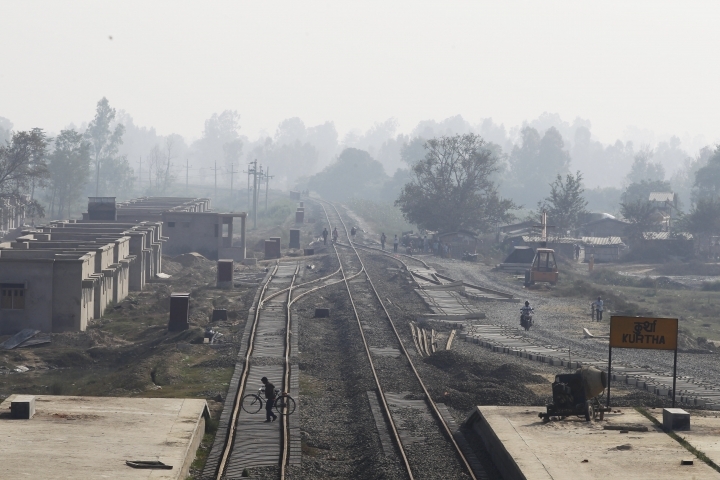 Once the new $80 million rail line begins operations, plans call for extending the railway deeper into Nepal. 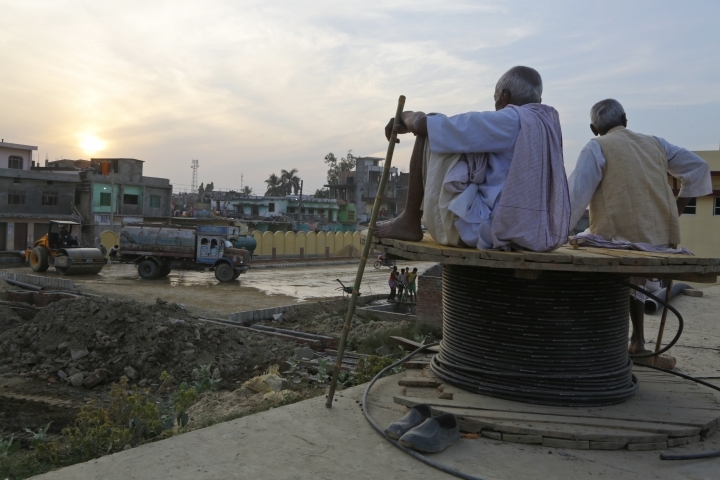 For now, only a dusty trail passing through villages connects Jay Nagar and Janakpur. It's mostly used by people bringing in daily goods on motorcycles and small trucks. The British, who ruled India from 1858-1947, built a narrow-gauge 2.5-foot wide track in 1937 to transport timber from Nepal. That train, with only three rusted carriages, windows lacking panes, missing doors and iffy service — the engine often broke down for days — quit running in 2014. 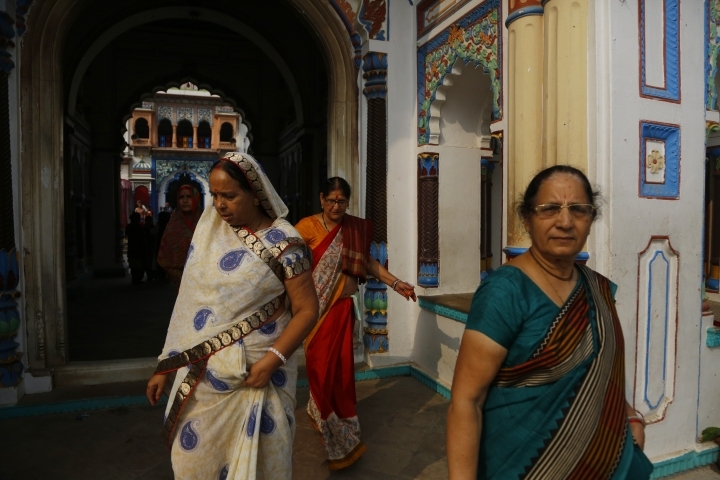 Millions of Hindu devotees travel every year to the Ram Janaki temple in Janakpur, where the Hindu goddess Sita is believed to have been born and later married the Hindu god Ram. 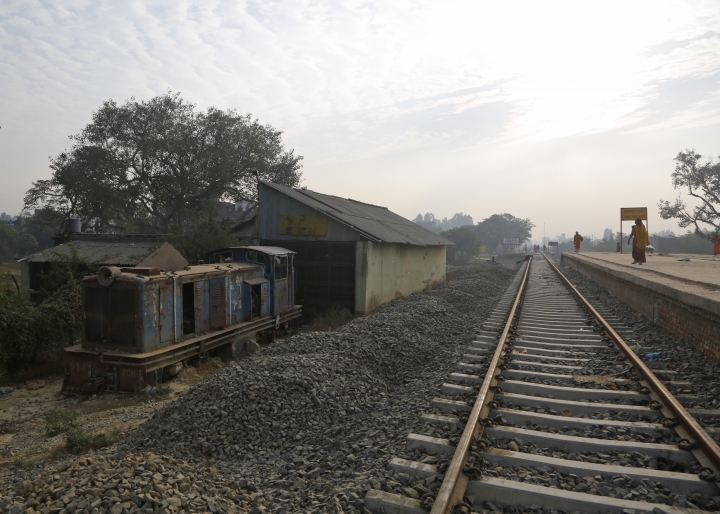 Restaurant owner Naresh Chandra Jha is one of many in Janakpur who view the railway as a godsend. He's counting on a windfall from the pilgrimage trade, and on saving money thanks to lower transport costs for his supplies. "This is the biggest event for Janakpur," he said. "It will be a big contribution for development and boost the number of religious visitors." The new line will be able to handle bigger trains carrying more passengers than the old trains, says Binod Ojha, who was supervising the project from a makeshift office at the new station. Apart from tens of thousands of Hindu pilgrims, it also will accommodate cargo — landlocked Nepal imports all of its oil, food and other goods from India, which accounts for two-thirds of its foreign trade. "Once we start operating trains, people will be able to travel from here to New Delhi or even southern India. We will be well connected," Ojha said. "Once trains begin to bring all these things from India, the cost will naturally go down. Our daily expenses will be much cheaper." Home to Mount Everest and other peaks on the roof of the world, Nepal has limited road networks. Politicians have been promising for years to build new train lines across the mountainous country. 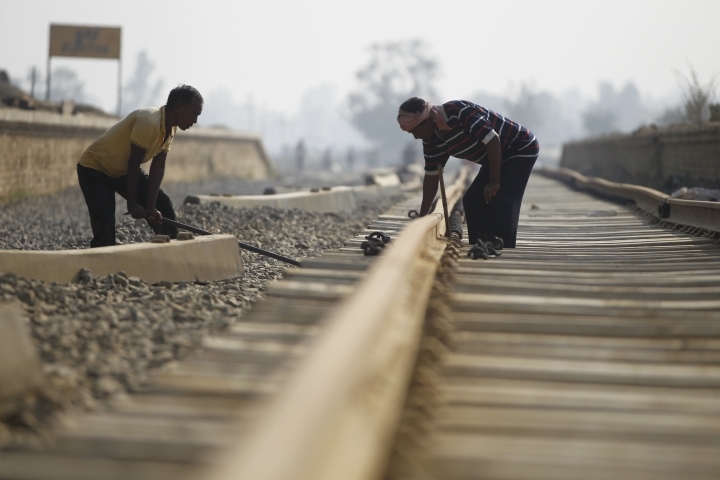 China and India are vying for leverage by offering to build them, and that helped spur work on the Indian-funded Janakpur-Jay Nagar line. Despite great hopes among those awaiting the new train it's unclear exactly when passenger service will start. Indian Prime Minister Narendra Modi had been expected to travel by train to Janakpur in December to inaugurate the new line during a popular Hindu festival but that plan has been cancelled. 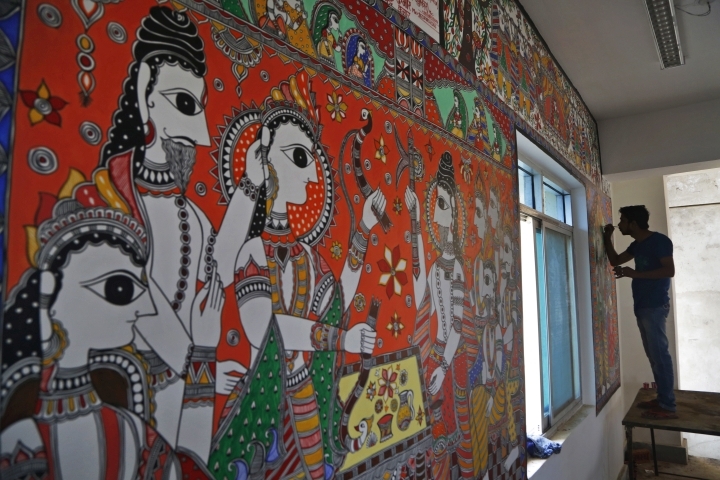 India traditionally has had major influence in Nepal economically, socially and culturally. It surrounds Nepal on three sides and has open borders. Indian leaders who head the world's biggest democracy are keen to counter what they view as Nepal's recent tilt toward China, a communist-ruled country. India was instrumental in helping Nepal establish democracy in 1950 and bring it back in 1990, when a popular uprising forced the king to give up autocratic power and bring in a multiparty system. But Nepal's communist party won control of government in elections last year. Nepal's prime minister, Khadka Prasad Oli, signed an agreement during a recent visit to Beijing on surveying for possible train links from the Nepal capital Kathmandu to the Chinese border in the north and other parts of the country. China is building two airports, highways, city roads, hydropower plants and a cement factory. India has also invested in hydropower plants, transport and rail links. During Indian Prime Minister Narendra Modi's visit to Nepal earlier this year India committed to conducting a survey on building a rail link from Kathmandu to the Indian border. The Indian side may be falling behind in the influence sweepstakes. At an investor's conference last year, China pledged to invest $8 billion in Nepal compared to $317 million by India. This year, according to Nepal Investment Board, China has invested $471 million while India has committed only $51 million. "Investment from both China and India are in the rising trend. It appears they are both competing with investments, but it is a healthy competition which is beneficial for Nepal," said Uttam Wagle, a Nepal Investment Board spokesman. The new train connection is expected to give India a boost. And when it comes to railways, it already has an advantage since Nepal's border with China is mountainous while the frontier with India is in the plains, said Dhruba Hari Adhikary, an independent analyst based in Kathmandu. "India has overtaken China in terms of connectivity by train because they have already laid down the tracks and the system could function immediately, but the Chinese plan is still on paper only," Adhikari said.